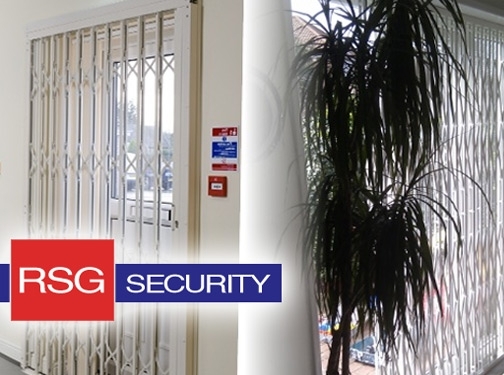 RSG Security manufacture, supply and deliver a range of door and window security products for residential, commercial and industrial buildings. We deliver directly to both public and trade throughtout England, Scotland and Ireland. Our product range covers roller shutters, security grilles and security gates. For more information, please visit our product range webpage at RSG Security Products. We also provide a complete survey, supply and installation service in London, Essex, Surrey and nearby areas. For a free survey, please use the contact details below. Please get in touch today on 0208 123 1088 or by emailing us at sales@rsg-security.co.uk or via RSG Contact Form. UK (Ruislip, Middlesex) - with over 20 years' experience - providing security gates, doors and windows. Website includes details of solutions provided, testimonials, FAQs, regularly updated blog, terms and conditions, full company contact details including company registration number.